Norcal is excited to offer recreational/developmental rowing for middle school athletes (7th and 8th grade)! This program is designed for younger students (7th/8th graders) who aren’t ready for a full-time program but want to have fun learning about rowing and physical training at their own pace and perhaps compete in middle school events. 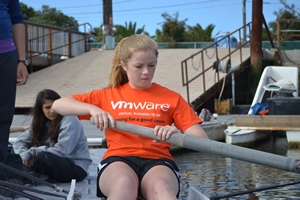 We encourage 8th graders who are considering rowing in high school to join the 8th grade development program. 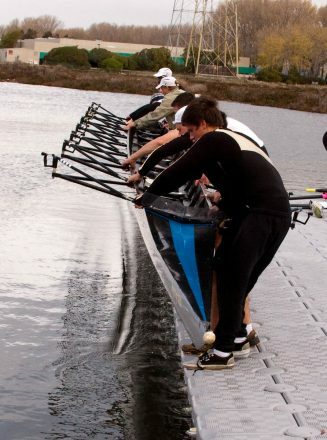 On-water rowing technique, boat and oar handling and nomenclature, safety on the water, as well as indoor rowing technique and physical training. We mainly focus on sculling (rowing with one smaller oar in each hand) but also cover the basics of sweep rowing (each rower uses one bigger oar). The Norcal Recreational Program is designed to help athletes improve in all aspects: fitness, strength, flexibility, mental toughness, and discipline and is tailored to fit middle school through high school students. Due to restraints on our facility, the program is limited to 22 athletes. The cost for the 3 month program is $1,050.